This house has a total of approximately 165 m2, with 4 bedrooms, all of them very large, with sea views and fitted wardrobes and 2 full bathrooms. 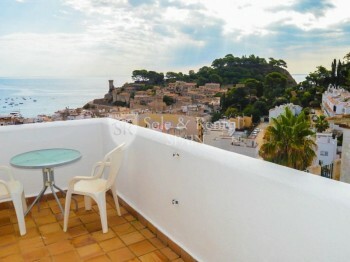 It also has two terraces, one on the ground floor with barbecue and magnificent views towards the bay of Tossa and the old town walls, the castle and the mountains. It has a large living room with fireplace and direct access to one of the terraces. The modern kitchen if fully equipped. On the ground floor there is a toilet, a laundry and a patio. The house is very well located a few minutes walk from the town and beach. It is ready to move into and has great potential if you want to rent in the summer season.